Directorate of Economics and Statistics Jobs Notification 2018. 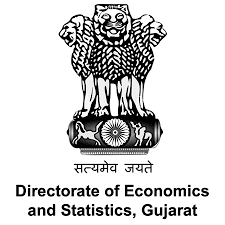 Directorate of Economics and Statistics Gujarat is inviting applications for the positions of Research Officer, Research Assistant and more posts. Interested and Eligible candidates can apply for the positions. Graduate or Post Graduate degree in Statistics or Applied Statistics or Mathematical Statistics or Economics or Mathematics or Applied Economics or Commerce, Economics or Economics or Econometric main subject. Interested candidates may send their application in prescribe format along with necessary enclosures at below mentioned address by speed post or reg. A.d. only. Send your application to given address: Director, Economics & Statistics Department, Sector - 18, Nr. Police Bhavan, New Building, Gandhinagar 382009. Last date for application: 07/09/2018.